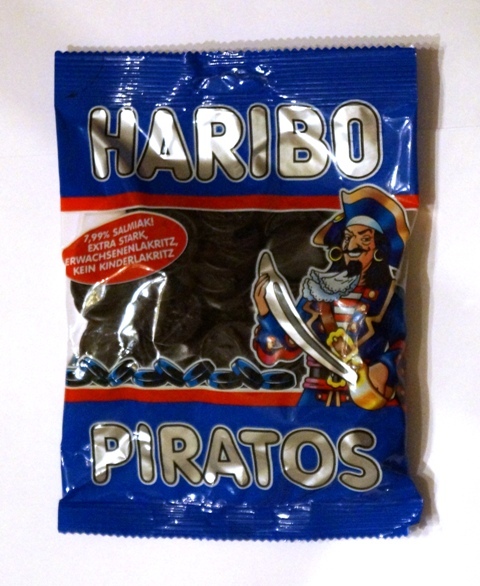 Haribo Piratos are a very salty and strong, delicious Danish licorice. They contain 7.99% salmiac. These are chewy coin shaped licorice with Pirate related shapes on one side (guns, canons, pirates, ships, swords). 200g per bag.